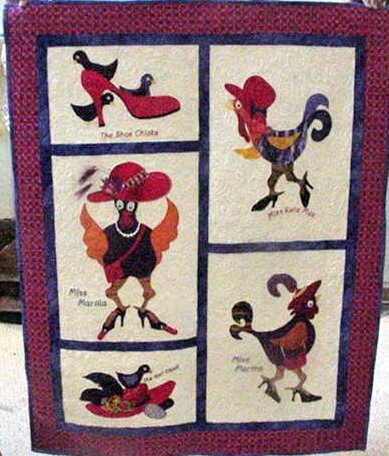 Bessie’s Red Hat Quilt shows chickens in all of their finery. This quilt is a hoot! I thoroughly enjoyed making this quilt. I also realized that I like using fusible web and embellishing quilts. It is my plan to make several quilts over the next twelve months utilizing these techniques.